Good things really do come in small packages, as evidenced by Tamarack. 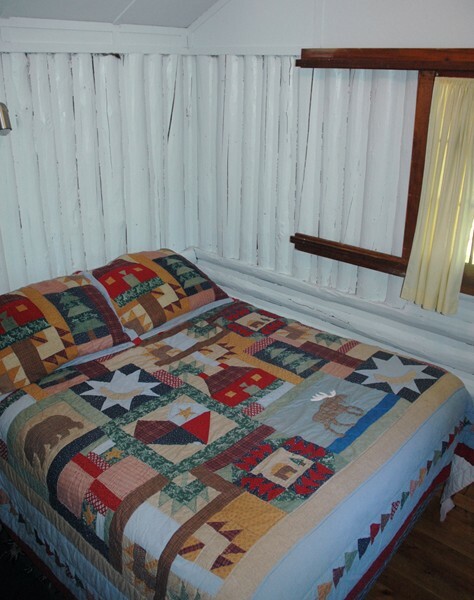 This is our vintage cabin, likely one of the oldest buildings on the property. As near as we know, it was built in the late 1920's or early 1930's. Rest assured, we've given it plenty of TLC in the ensuing years, to keep it in shape to serve us for many more years. 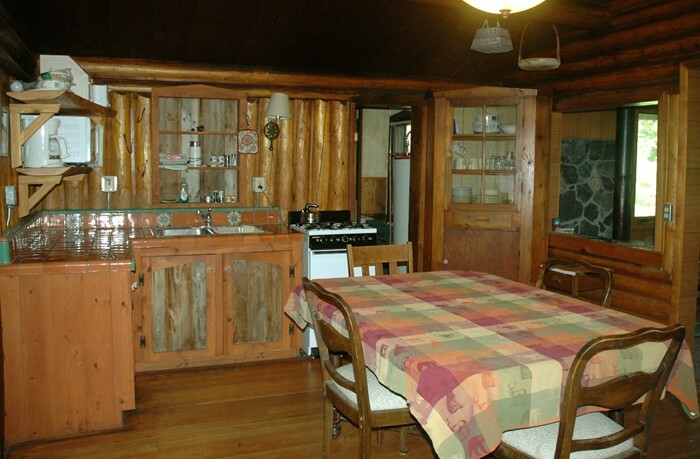 The kitchen serves as the hub of the cabin, providing space to cook up some tasty meals, and then gather around the table to dine and later play some games. 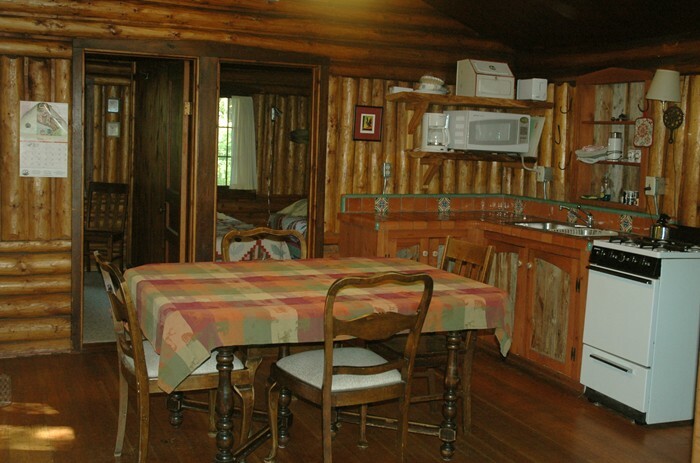 The living area overlooks the freestanding deck and the lake. 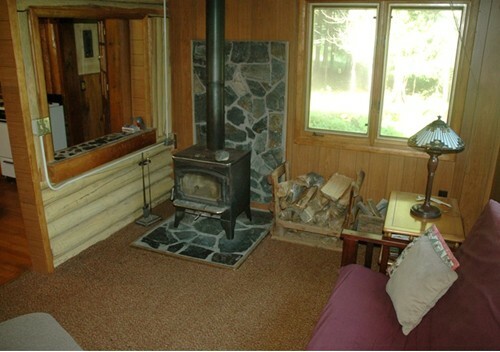 A fireplace/ woodstove adds warmth and ambiance. 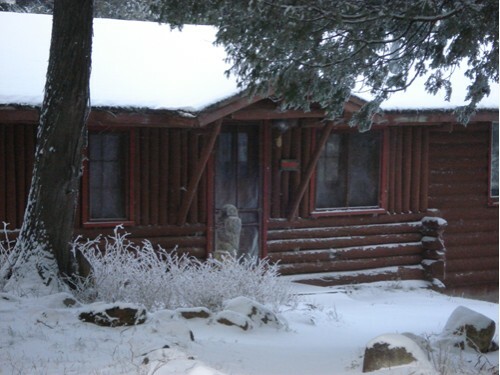 The cabin is heated with a propane furnace. 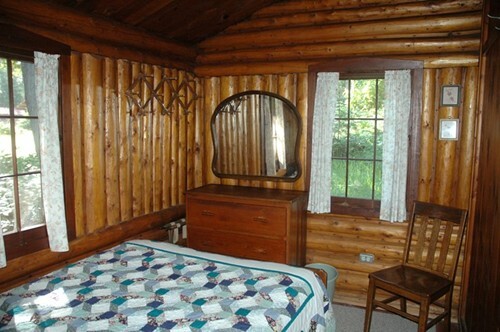 The cabin has three bedrooms. 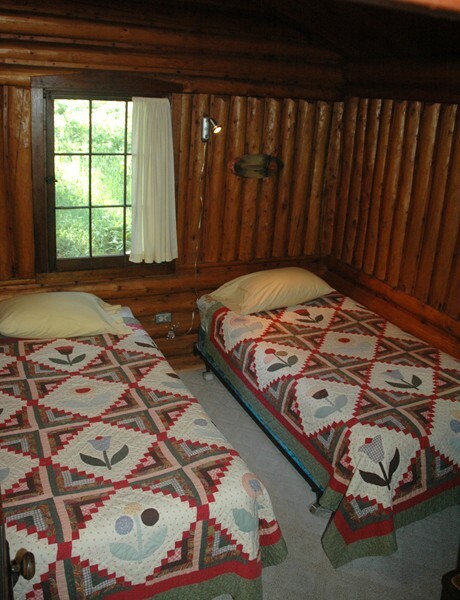 Two bedrooms have a full-size bed, and the third bedroom has two twin beds. 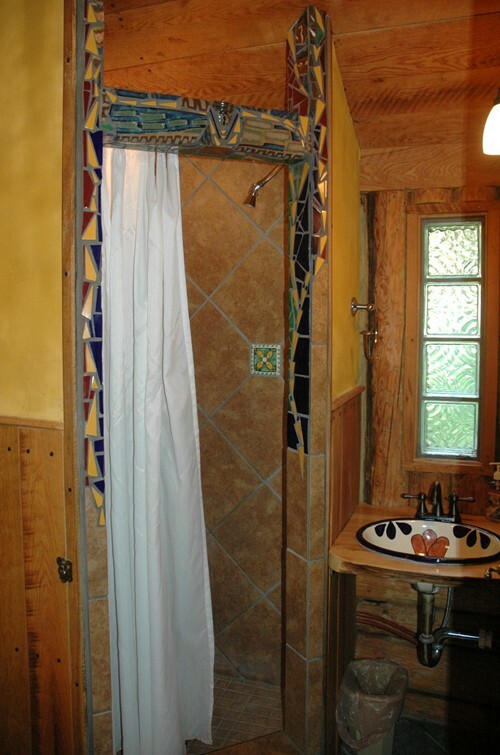 The bathroom in Tamarack features a tile shower and decorated porcelain sink. Greg enjoys tile work and often incorporates unique ideas and designs. In this case, he made excellent use of pottery shards from an artist's discard pile. The facing above the shower features a portion of a vase and a plate. Under5 years, no charge. We have cribs and a high chair available for your convenience.